Obituary for Larry Dolfo | Providence Funeral Homes & Crematorium Inc. It is with great sadness we announce the death of Larry Dolfo, beloved husband, father, grandfather, brother, and friend. He was a loving husband, father and grandfather and will be greatly missed. Larry was born and raised in Trail, BC by his loving parents, Angelo and Dora Dolfo. He is survived by his wife Norma, his children Brent (Diana), Mardi (Anton), Carmen (John), grandchildren Braedon, Keynan, and Tanika Dolfo, Callaghan, Mckenzie, Dakota, and Garrison Dolfo-Smith, Kennedy, Aspen, and Grey Garrison, and sister Loretta. Larry moved to Penticton in 1962, and taught math at McNicoll Park Jr. High and Pen. High. He retired in 1993. Larry loved spending time with his family and friends. There was always laughter in the room when Larry was there. He had a great sense of humour and could poke fun at anyone. He was able to bring that into his teaching and his friendships. 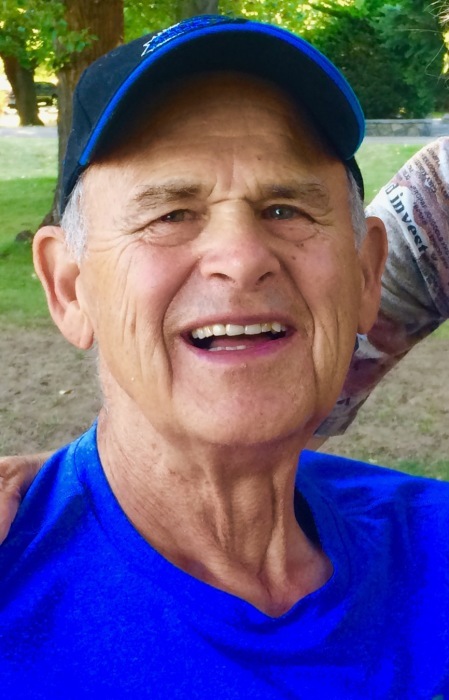 His favourite activities were all outside - hiking, fishing, working in his wood lot, gardening and golfing.His family’s homes are filled with furniture made with blue-stained (beetle-killed) pine from his woodlot. In his last years he couldn't do most of these things, as his heart was failing (wild-type amyloidosis,) but he continued to find joy in what he could do and particularly in his family and faith. Larry’s Celebration of Life will be at 3 pm on May 16th at Summerland Baptist Church, Summerland, BC. In lieu of flowers, please consider donating to the Heart Center at St. Paul’s Hospital where Larry received excellent care for his heart (https://helpstpauls.com/). There's still time to send flowers to the Celebration of Life at the Summerland Baptist Church, Summerland at 3:00 PM on May 16, 2019.